Home > Blogs > Guide to select displacement sensor in industrial applications– Are you using the right sensors? Guide to select displacement sensor in industrial applications– Are you using the right sensors? In a world of Industry 4.0, sensors must perform high speed measurements and provide high accuracy results to ensure reliable quality assurance. 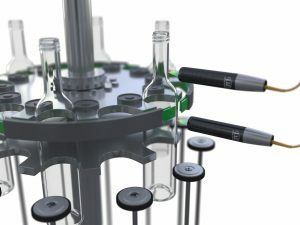 Optical measurement techniques play an essential role in the increasing automation of manufacturing and inspection processes. Non-contact sensor technology is responsible for wear-free, fast, high precision and reliable measurements of manufactured components and their measuring points. This is a decisive advantage in online measurement, particularly if the target is in a difficult-to-access area. 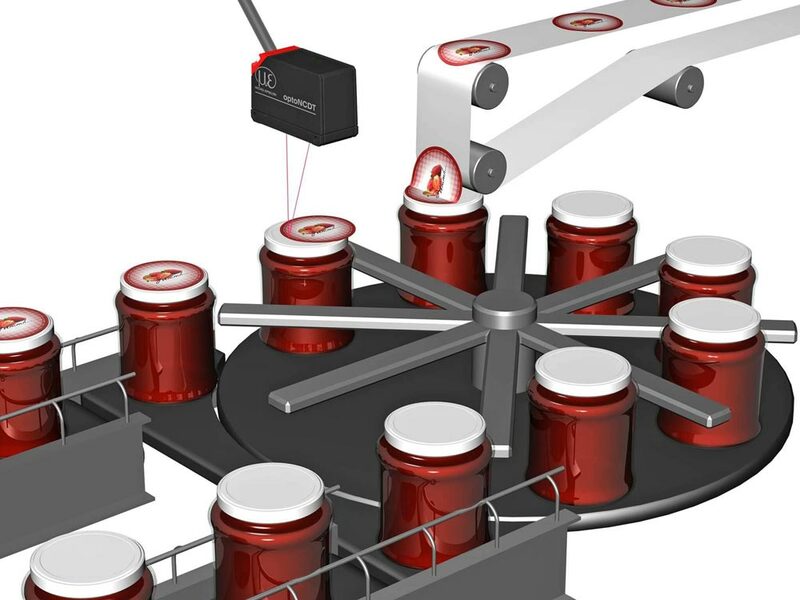 Measurement data is generally available in real time and so can be used to automatically correct and control the production process. Process automation can improve product quality and reduce raw materials and energy usage, which minimize production costs. A wide range of displacement sensor are available to suit different applications based on parameters such as measuring range, frequency response and accuracy. With such a vast selection of displacement sensor, we often stumble in one question “How to select the suitable sensor for my measurement task?”. In this article, some applications of displacement sensor in the industry are presented. We will briefly discuss different types of displacement sensor, such as laser triangulation sensor, confocal sensor, capacitive sensors, laser profile scanners and eddy current sensors, followed by some of their respective applications. 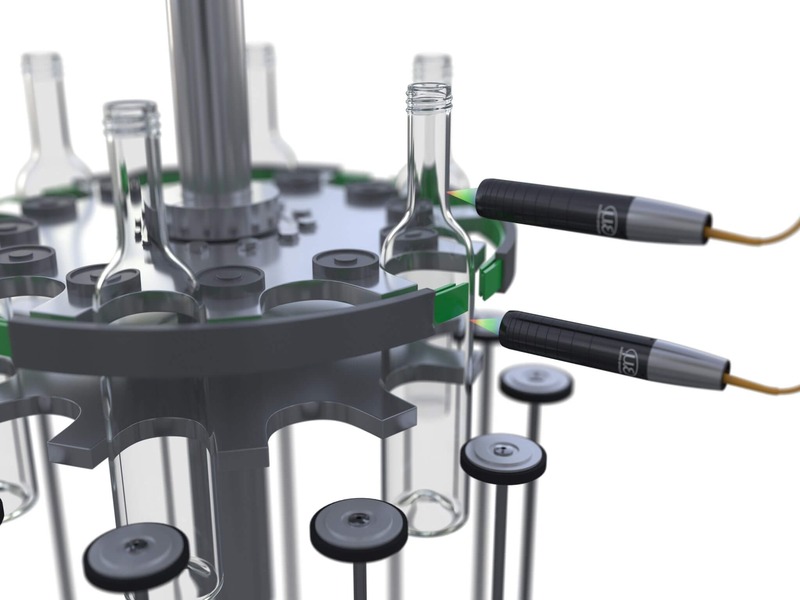 Understanding their applications and unique features under different conditions will assist the end-users to select a suitable displacement sensor for their test and measurement application. The manufacturing of laminated glass, solar cells, flat screens and smartphone displays are challenging as they consist of several layers and different transparent materials. When manufacturing multi-layer, laminated and curved glass for airplanes, automotive and architectural applications, precise thickness measurement of each layer is important. If the curvature of the adjacent layers does not comply with the specifications, there is a risk of increased stress which might lead to deficiencies or delamination of the glass. The exact thickness of each layer and the air gap between those layers must be determined to ensure high quality. Due to the high cycle rates involved, the measurements must be performed quickly and precisely. Confocal sensors master these tasks. They are compact, high speed and easy to integrate and ensure highest reliability in almost any area where high precision is expected – from machine monitoring to fully automatic quality control of the final product. Large plants and machinery such as stone mills or telescopic installations often work with hydrostatic bearings which are continuously supplied with liquid lubricant via an external pressure supply. In this case, Eddy current sensors are used since they can ‘see through’ the lubricant and provide sub-micrometer position control. Eddy current sensors can be used under high pressure and temperature, in high radiation and in dirty and dusty harsh environments. Built-in temperature compensation also ensures high measurement accuracy can be achieved even in fluctuating temperatures. 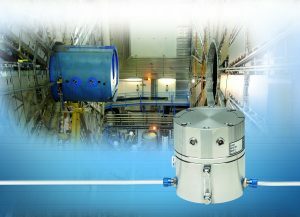 Laser triangulation sensors have small spot size, large stand-off distance, fast measuring rate and very high precision. They have numerous applications in industry. One example is pick-and-place machines, where laser triangulation sensors are used to monitor the position of tiny components. They ensure that the components are positioned the correct side up, at the correct location and at the correct height. The requirements on the measurement technology are enormous; not only because the parts are extremely small, but also primarily due to the rapid change from shiny to matt surfaces. The pins consist of a shiny metal, whereas the circuit board presents a matt surface. Therefore, the receiver element in the sensor is at frequent intervals alternately exposed to strong and then weak reflections. Our laser sensor technology has Auto Target Compensation (ATC) feature which provides fast control and adjustment over different reflections. This enables a smooth signal frequency of the distance signal ensuring high measurement precision at all times. Laser profile scanners are developed based on the increased demand of multi-dimensional quality control in industrial production. They are increasingly used for 2-D and 3-D profile and contour measurement applications. Their operating principle is based on the laser triangulation for two-dimensional profile detection. They detect, measure and evaluate the profiles on different object surfaces. While the laser scanners are giving 2-D information, you get the 3rd dimension by moving the laser scanner or the target object relative to each other. One such application that can benefit from laser scanners is the inspection of adhesive beading in smartphone housing. A challenge here is the very fine contours inside the smartphone and extremely thin, partially semi-transparent adhesive beading. To ensure the product passes quality control, perfect control of the completeness of the beading and the exact height and width of the applied adhesive are required. This also applies to the logos on tablets and laptops: grooves are milled into the aluminium housing, in which the logo elements are glued afterwards. The latter must be flush with the housing. Haptics (touch sensation) is a critical factor, as the customer would immediately feel any protruding logo or depression. Using laser line scanners, these depressions are measured to determine the planarity as well as the depth. The parts being glued are also measured to ensure a perfect fit. Other applications include welding seams, profile and gap measurement. Research equipment can also benefit from non-contact capacitive displacement sensor, such as the particle accelerator at one of the largest research facilities in the world – CERN (European Organization for Nuclear Research). Here, a capacitive Hydrostatic Levelling System is used to ensure that the pipes through which the particles are sent are at the same height, even when the concrete foundations of the pillars on which the pipes are mounted change their height due to natural soil movements. High performance non-contact capacitive sensors have outputs which are very linear, stable with temperature, and able to resolve incredibly small changes in distance, resulting in high resolution measurements of less than one nanometer. With its high precision, measurement speed, compact size and fast data processing, non-contact measurement technology offers many benefits. The user can choose from different measurement systems. Each principle comes with its own advantages and limitations that all need to be carefully considered. As demanding applications require e.g. higher resolution, robustness, temperature stability, linearity or special mounting and installation conditions, Bestech Australia offers Micro-Epsilon sensors for special solutions and custom designs that are adapted to the customer’s specifications. Contact type sensors such as potentiometers, LVDTs and draw wires are also available. Factory trained Application engineers with specialised product knowledge will work with you to understand your requirements and recommend the right sensors for your application.